Do you love the show American Idol? Are you America’s Idol for 2019? You will have the chance to prove it, as ABC’s popular hit TV show comes to Charleston, WV. 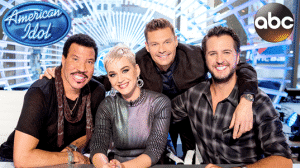 CHARLESTON, W.Va. – Luke Bryan, Katy Perry, Lionel Richie, Ryan Seacrest and hundreds of talented individuals will be in Charleston on Sept. 15 for the very last audition tour stop of the 2nd season of “American Idol” on ABC. Five hundred potential contestants will be auditioned at Haddad Riverfront Park. Currently, Charleston is the smallest city Idol will be visiting, and CVB President Alisa Bailey said that they are looking forward to the event. In 2002, “American Idol” got its start and became one of the most popular shows on television. Idol has helped create the careers of Kelly Clarkson, Carrie Underwood, Jordin Sparks and many others. Many watched the show for its judges, most notable being Randy Jackson, Paula Abdul and Simon Cowell. After 15 seasons on Fox, the show ended but was revived by ABC after a year and started again in 2017. Charleston was named on June 6 as one of the 20 locations for auditions. Millions watch “American Idol” each week, and those same viewers will get to see what the city is like. “We’re just prepared to enjoy that Charleston will be the focus and will get national television attention because of it, so it’s just a very exciting time. It’s very appropriate that the auditions will occur at Haddad Riverfront Park, because that’s such a great entertainment venue for locals, and we’re just really proud that will be the backdrop for all this national attention,” Bailey said.